Accommodation in Durban: The Willows. You are here: Home / KwaZulu Natal / Durban / Accommodation in Durban: The Willows. 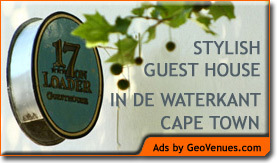 Comfortable b&b situated in quiet Durban North suburb. All rooms have own access and all have aircons,Mnet,DSTV satelitte bouquets.All rooms have en suite showers with the Deck room having a full bathroom.There is a large pool and braai facilites are available. The Willows is close to all major facilities including shopping centres,ICC,sports stadiums and Durban CBD.We are also minutes form Umhlanga centre and the beach. All rooms are serviced daily and dinners can be arranged.Airport transfers are also offered. Safe and secure off road parking.